A Ladder to the Stars is a beautiful children’s story written by Edinburgh Author Simon Puttock. 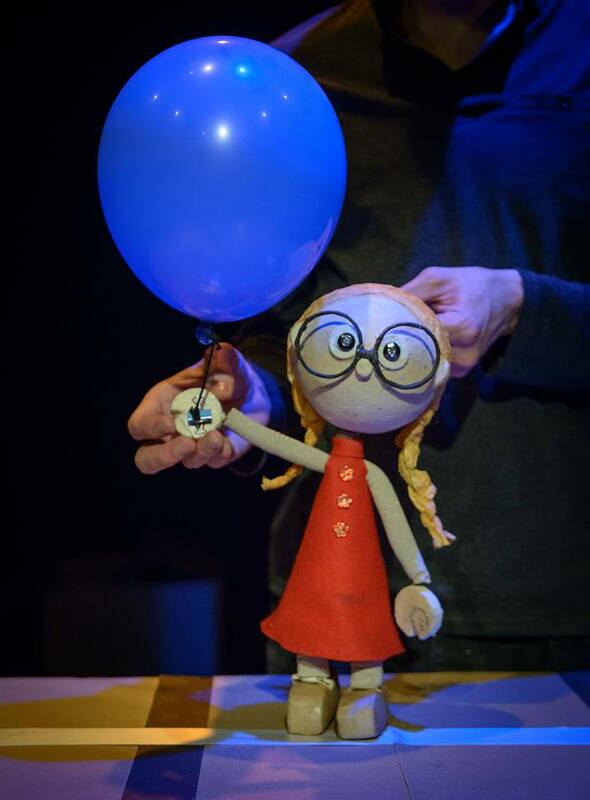 Visible Fictions wanted to adapt it for the stage for a long time, so when they finally got the chance to produce the play in partnership with Aberdeen Performing Arts the company jumped at the chance. The story is very visual and the performance uses music, puppetry, props and lights to convey the action. Two storytellers tell the tale of a little girl who, on her birthday, wishes to dance with the stars. When a cheeky little star way up in the night sky hears her wish, he sets about putting a plan in motion. With help from the sun, the moon, the wind and the rain, they plant a seed in the girls garden which over 100 years grows so high it touches the belly of the sky! On her 107 birthday, an old lady wakes up to the cheeky little star telling her to climb up the tree and join him. She thinks she too old to climb that high – but with a lot of determination she makes it to the top of the tree and bursts through into the night sky. Here she meets the star who made her wish come true and they dance together. The performance last for 40 mins with a play session at the end where the audience can meet the actors and puppets. Children will be met in the space by the 2 actors, they will chat to them whilst everyone takes their seats. During the performance the actors will interact a little with the audience as certain points in the show. The audience will sit ideally on benches but floor mats can also be used at the front. 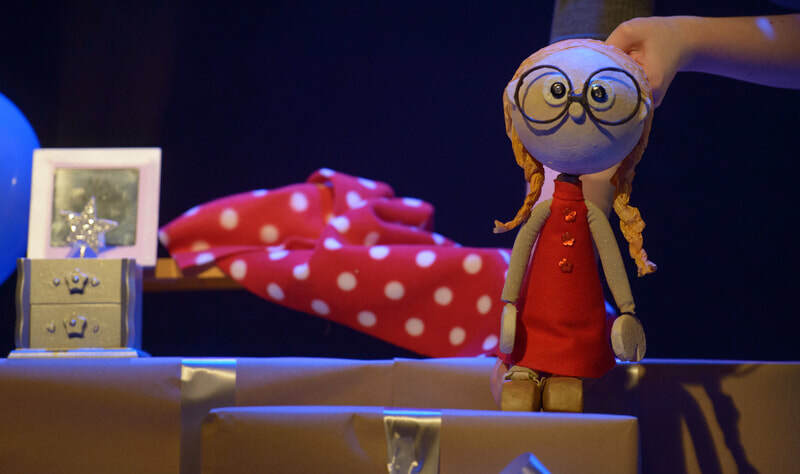 At the end of the performance, the actors will invite the children to take a closer look at the set and puppets used in the show and will facilitate a play session. This is an ideal experience for nursery children transitioning to primary school as the performance tackles themes of determination, working together and achieving goals. Visible Fictions have been producing creative experiences for young people since 1991. They are award winners, recognised both nationally and internationally as leaders this field. The company have toured work all over the world from the Sydney Opera House to Broadway. They believe theatre can happen anywhere and as a result have performed work on bikes, in schools, on boats and in parks, always aiming to challenge and excite young audiences and the communities in which they live. Visible Fictions move with the times and are always looking to develop their audiences. Because of this they have a healthy online following and produce work especially for this audience. The company are committed to making accessible work, ensuring that all members of the community can take part in the art they create.